Gadzooks! Father’s Day is THIS SUNDAY! But don’t fret if you’re unprepared—I’ve got you covered. 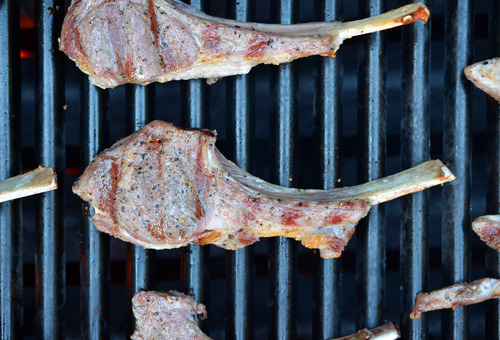 In this edition of Forky Friday, I’ll share links about how to make the perfect steak and the best grills to cook it on. I have plenty of other ideas for gifts, too. Nothing’s too good for the top Pop in your life, right? Even if dear old dad prefers Krispy Kreme Sloppy Joes to real food, I bet he wouldn’t turn down a home-cooked meal. 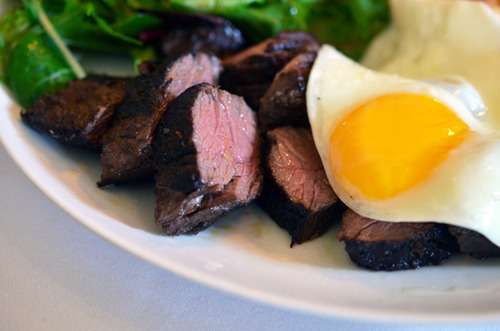 For breakfast, you should make him a satisfying plate of Paleo-friendly Eggs Benedict (by Spoon & Knife, the self-described “gluten-free meat-atarian” site by my new pal Christine and her husband Mike), or my personal fave: steak and eggs! Want some great tips on making the PERFECT steak? As longtime readers know, my favorite fool-proof technique for cooking steak is to dunk it in a water oven and sear it when I’m ready to eat. I’m kind of a sous vide nut. If you haven’t yet tried this cooking technique, check out this new video and post from Serious Eats’ J. Kenji Lopez-Alt, which explains how to hack your own sous vide cooker with a beer cooler. His technique for browning the steak with a combination of a hot cast iron skillet and blowtorch is absolutely brilliant. If you love to cook and aren’t a regular reader of Serious Eats, you’re missing out on tons of wonderfully useful tips. I learn something new from the site every day—including what NOT to do when cooking steak. The biggest takeaway for me? Invest in a good meat thermometer. 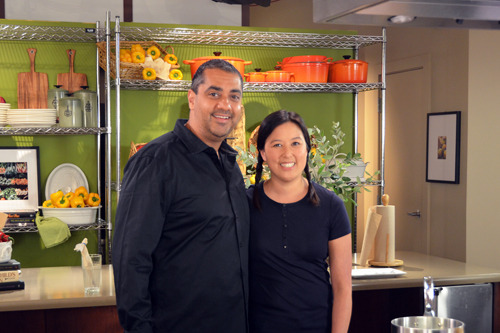 If you want to give dad a 90-minute video tutorial by award-winning Master Chef Michael Mina on how to cook steaks perfectly, click this link here. Just looking for a simple, delicious recipe for flank steak that you can toss on the grill? Try this Grilled Flank Steak with Chile Rub from the always-awesome Leite’s Culinaria. David Leite has dubbed me the “bisexual of the food world,” which is totally going on my business cards. 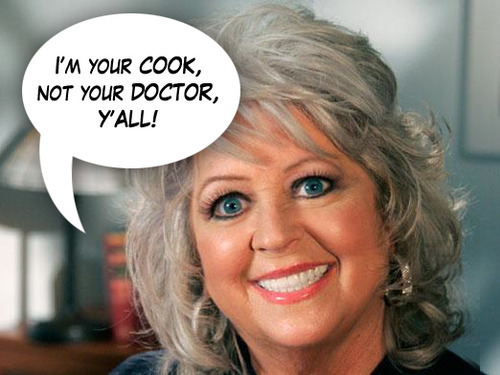 But whatever you do, I FORBID you from topping the steaks with a dollop of Paula Deen’s new line of finishing butters. Make your own (the ever-effervescent Joy the Baker has a great recipe) if you don’t want your “butter spread” to contain canola oil, modified food starch, and other bizarro ingredients. Seriously: finishing butters should contain nothing more than butter, herbs, and seasonings. In terms of big-ticket gifts, smokers and grills make most dads smile. I’m no gadget expert, so I rely on the wisdom of the folks behind ConsumerSearch and The Sweethome to tell me how to get the best bang for my buck. Shopping for a gas grill? ConsumerSearch picks Kenmore 4-Burner LP Grill w/ Searing Burner, while The Sweethome likes Weber Spirit E-210. If charcoal grills are more your style, the Weber Performer is ConsumerSearch’s top pick overall. The Sweethome prefers the Weber One-Touch Gold. Don’t have oodles of cash to blow? Get the food-obsessed dad in your life a useful and inspiring cookbook! 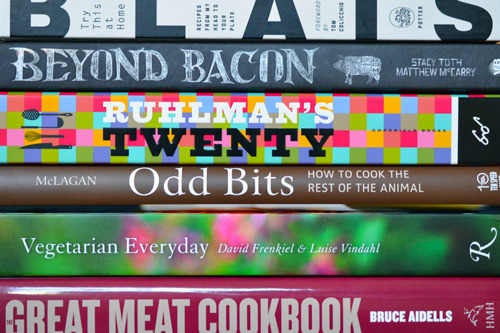 For the dad who loves meat, check out Bruce Aidells’s The Great Meat Cookbook and Jennifer McLagan’s Odd Bits. 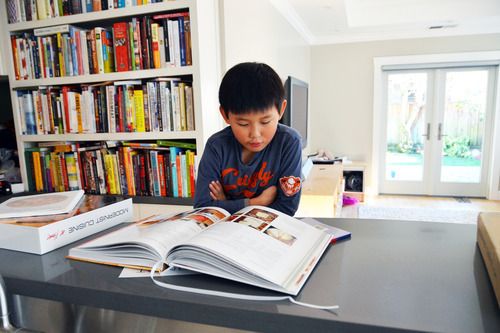 For dads who want to perfect their cooking techniques, look no further than Ruhlman’s Twenty. It’s a no-brainer. For dads dabbling in Paleo, you can get Robb Wolf’s Paleo Solution, Diane Sanfilippo’s Practical Paleo, Dallas and Melissa Hartwigs’ It Starts with Food, Bill & Hayley’s 30 Day Guide to Paleo Cooking, and Melissa Joulwan’s Well Fed. If he loves pastured pork and won’t mind waiting a couple of weeks for an awesome swine-centric tome, definitely pre-order Matt & Stacy’s Beyond Bacon. And—shameless plug alert—get a head start on the holidays by pre-ordering our Nom Nom Paleo cookbook, too! Toodles! Now go celebrate with your dads!